It's the 1st annual Ballooning for All Day at the Albuquerque Balloon Museum! We invite all differently-abled individuals and groups to observe or crew for hot air balloons on the museum grounds. Balloon Inflations & Hands-on Crewing - 7 - 9 a.m.
Breakfast with Balloons Tailgate Festival - 9 - 11 a.m. Sponsored by World Down Syndrome Day and Rio Grande Down Syndrome Network. Food trucks, live music, hands-on activities, rock climbing, resource booths and more. 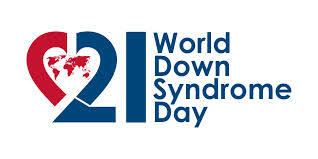 We encourage you to show your support of World Down Syndrome Day by wearing colorful socks. A sock decoration station will be set up for families to create their own colorful socks as well.